Mumbai, Oct 29 (IANS) Filmmaker Vikas Bahl, who is making a biopic on Patna based mathematician Anand Kumar, met Canada-based psychiatrist Biju Mathew — writer of “Super 30” — here and took inputs for his film. Featuring actor Hrithik Roshan in the lead role, the film will showcase the life of Anand Kumar, who trains 30 deserving, economically backward students for IIT-JEE — the entrance exam of IIT — each year, with a commendable success rate. “It was good on the part of Mathew to come and share inputs about Anand Kumar. It will certainly be a great help, as we are doing a lot of research for the film,” Bahl said in a statement. 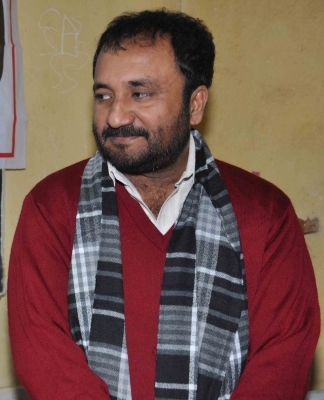 “Super 30”, a biography of Kumar, was released last year. Mathew said it was a privilege for him to be part of the film on Kumar. “It is indeed wonderful to share my insight and the work that I did for the book,” he added.